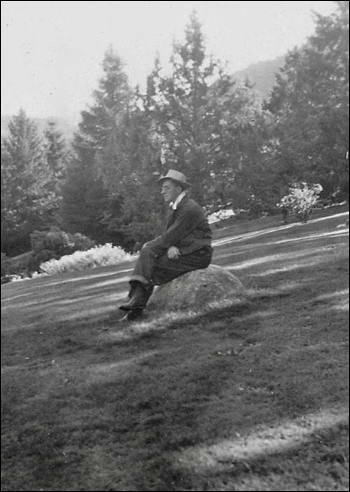 This is my grandfather Frederick Armstrong Daugherty in Lithia Park in Ashland, Oregon. He is sitting on a rock not far from where he planted the sycamore grove in 1914 or 1915. This photo was taken on September 19, 1943.